OS X is the latest release of the world’s most advanced desktop operating system. 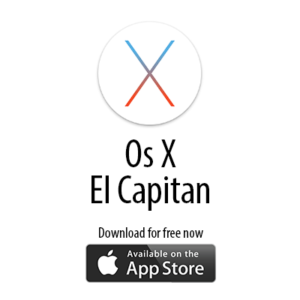 OS X El Capitan. Engineered to take full advantage of your Mac hardware, OS X El Capitan is designed to be as easy to use as it is beautiful to look at. It comes with an amazing collection of apps you’ll use — and love — every day. And it enables your Mac and iOS devices to work wonderfully together.